Please respect my copyright policy for all images on this site! If you see any modified HCM pictures on the web drop me a note. Attention: All items on the trade list are for sale. Atari Lisa: The very Lisa where large parts of Ataris GEM were developed! The machine was used at the Atari Engineering HQ! Atati TT: The very Atari TT where parts of the Atari-Unix (ASV) were developed! The harddisk is said to contain a working copy of ASV! Placing these machines into operation will certainly be a very interesting research project! Presumably there will be a special page for this topic. Detlev Ponnet also added another totally unkown Blaupunkt Apple II-Prototyp to the HCM! Once again: Thanks a lot! There are some verty interesting additions to the arabic section of the HCM. Amongst other things three totaly unkown items: al Alamiha AX-660, Fatiha 100 and a RED al Alamiha AX-230! Stefan Schulz donated an nice expanded Amiga 3000 - a very early machine with serial number 213! Also to him: Thanks a lot! Updated Trade-List [here], items removed from Want-List [here]. 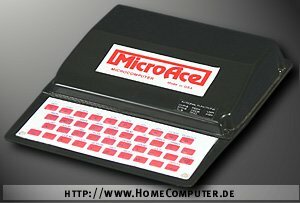 The HomeComputer-Museum is now 10 years old! The HCM was able to aquire a large part of Dimitri Kokken's collection. This great fellow unfortunatly stopped collecting and so quite a lot of east-european and japanese computers could be added to the HCM collection. If you want a larger version of the overview: click here. Do you want to see ALL new pictures? older Want some older "News"? Have a look at the "History" page.